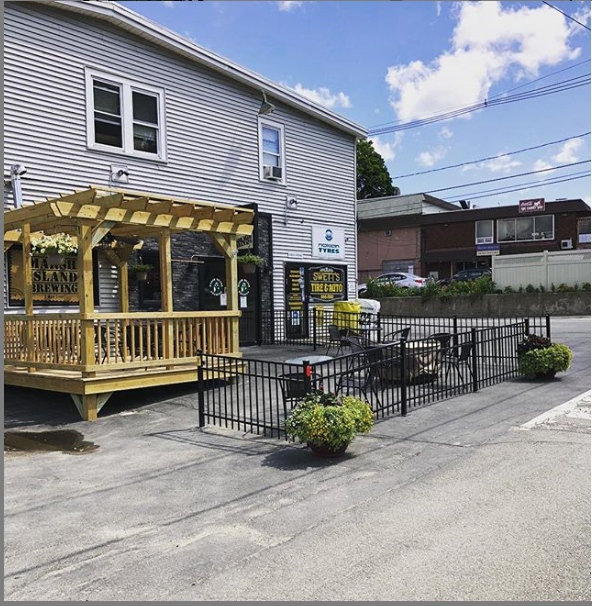 Marsh Island Brewing started as a conversation between a convenience store owner, the store’s Craft Beer Manager, and the Master Mechanic at her husband’s service station. One year after this conversation about providing the Greater Bangor area with more great local beer, the first batch of Downrigger IPA was bottled. 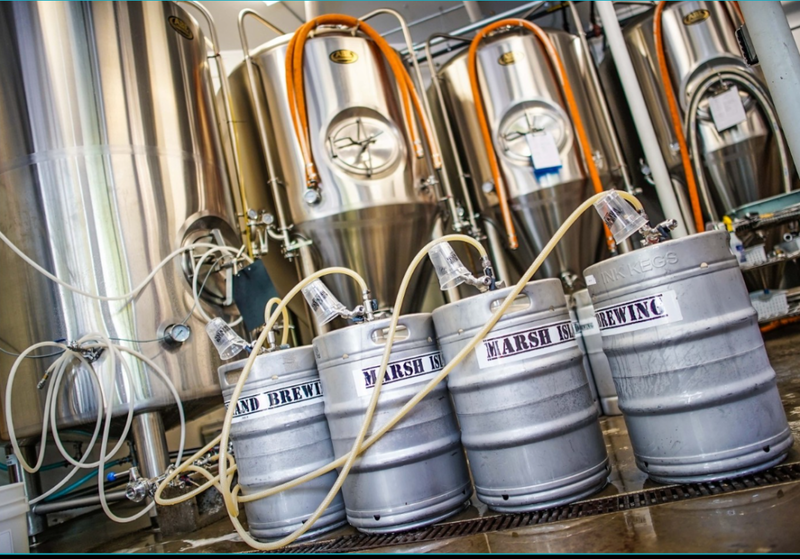 Marsh Island Brewing is a family business, owned by Jim and Alice Swett and son, Prentiss Swett. With the idea of a brewery, a Head Brewer (Clay Randall), and a Brewery Manager (Richard England), it was time to find a place for the brewery. A vacant convenience store in a building in Orono the Swett’s owned was being used for storage. With a walk-in-cooler already installed, the 2 Main St. location became a great place to brew. Clay christened the brewery on August 16, 2015 when he brewed the Downrigger IPA, bottled it on September 3rd and released it to a very receptive audience the next day. With our 3 barrel system, the team made single batch brews and it quickly became evident that supply could not keep up with demand. The year 2016 was a big one for Marsh Island Brewing. In early 2016, the decision was made to invest in two 7 barrel fermenters to allow for double batches. Experiencing trouble moving all of our 22 ounces bottles, it was time to invest in a canning machine. In the fall of 2016, the CASK MCS we purchased allowed us to manually can our most popular labels into 16 ounce cans. Concurrently, we opened our Tasting Room in September at the brewery in Orono. In the fall of 2017, it became evident that our 3 barrel brewhouse was not going to be able to keep up with the growing demand. At this point, we decided it was time to invest in a 10 barrel brewhouse, along with three 20 barrel fermenters, one 20 barrel brite tank and a much faster canning line. With the increase in production, we needed to add to our brewery staff. February of 2018 we hired Craig Faulkner, who had been a Mug Club Member, to round out our brewery staff. After months of construction and waiting, we brewed our first batch on the new system on March 19, 2018. We pride ourselves in brewing quality beer while offering a variety of styles. The day-to-day operations are handled by head brewer, Clay Randall and Brewery Manager, Richard England. 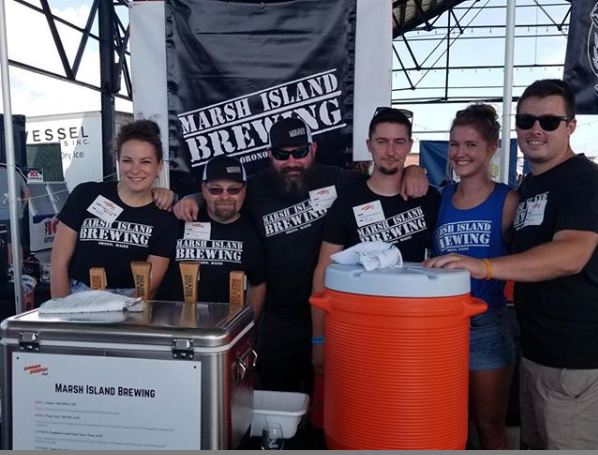 Marsh Island is distributed throughout the state of Maine by Central Distributors of Lewiston as well as Craft New Hampshire throughout New Hampshire.